It's the Last Few Days for the Magic & Mystery Casino Offer. Wager £10 in the casino and you'll get 1 entry into the prize draw. The more you wager, the more entries you have. Entries are open until midnight, on April the 29th. On April the 30th, one lucky player will be selected at random to win tickets to a show for themselves and a friend, for either Derren Brown or Dynamo (winner's choice), including travel expenses and a hotel thrown in. For one week only they are running an exclusive bingo competition where all pinkies can play to win huge bingo bonuses! Play any 90 or 75 ball bingo game between 11am today and midnight on Sunday 3rd May 2015, and you will earn 1 point for every £1 wagered. Then if you manage to tally enough points within the competition period to make it into the top 5 wagering pinkies, you will bag one of the following prizes! All winners will then be posted on Facebook and blog pages before midnight on Monday 4th May 2015! April showers bring May flowers and on Monday April 27th in the Spring Bingo room they could be bringing you fantastic free BBs! Join in the chat game fun between 8am and Midnight EDT and if you bingo on any number between 1 and 15, they will reveal your lucky flower and the free BBs hidden behind it. This month, you can enter a $50 guaranteed jackpot game every hour FOR FREE starting from 7:00 pm through to 11 pm, every Thursday! You have 5 chances every Thursday to win $50 without spending a cent. This week Free Games are scheduled at 7:00 pm, 8:00 pm, 9:00 pm, 10:00 pm and 11:00 pm on May 7th. No pre-buys available. Play in the special game of 5 line bingo for 5 chances to win £5,000. All for just 99p per ticket! The game plays at 9:30 pm Bank Holiday Monday, 4th May for your chance to win big bucks Wall Street style. Free Games are scheduled at 7:00 pm, 8:00 pm, 9:00 pm, 10:00 pm and 11:00 pm on 21st and 28th, 2015. Pre-Buys will not be accepted. Euro fever is sweeping the nation! Get playing for your chance to win a spectacular European holiday to any country whose song finishes in the top 3! Win great gifts every day for 2 weeks such as an iPad Mini, a Samsung 40” 3D TV or bags of vouchers – to name just a few prizes! All you need to do is spend £1 on bingo. Once you’ve done that, you’ll have access to our Free Gift Bingo games for that day. You can play these each day in the Private Multi Room from 7am – 10am, 12pm – 3pm and 6pm – 9pm, and the larger games will be on the hour every hour. They are lighting up the reels with great CASH prizes to celebrate this cosmic event! Enter the Super Moon Tournament between June 1st and June 7th and get your share of the rewards! Running every Wednesday. If your name is called then "Come On Down!" and join us for this fantastic game. You get to state your price and be in with a chance of winning the showcase round where you can walk away with one of the top prizes. Join them everyday for huge Linked Bingo games! Play Bingo Linx in the Bingo café - £10,000 guaranteed every day and tickets are only 50p! Excitement never stops in the Bingo Café at 10:30pm. 6pm is the perfect time to sit around with friends in Bingo Cafe. Join them every day in the Bingo Café at 12pm. Let this prize dance its way to your pocket in the Bingo Ballroom at 9:30pm daily. Marvin the monkey has a jungle of jackpot games for you, which play all day every day from 9am until midnight, paying out £1,500 daily! They’re totally nuts and just as tangled as the vines Marvin likes to swing on for loads of coconutty fun! Cards cost as little 1p so join the fun today to win swamp-loads of cash! Take a bite out of summer and win sweet rewards in the Sugar Rush Summer Tournament. Enter the sugarcoated fun between June 22nd and June 28th for your chance to win amazing CASH prizes. Celebrate independence and freedom in the American Classics online slots tournament! Jointhem between June 29th and July 5th for a shot winning up to $2,500 CASH! 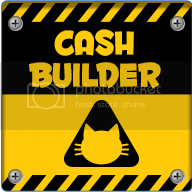 Grab up to £50 cash bonus Kitties! When: Mon 29th June till Thurs 2nd July. Where: Play your favorite bingo & slot game. 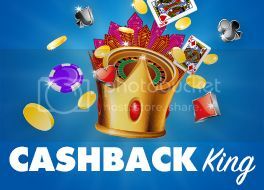 It’s time to get playing in Casino to grab 10% Cashback every Wednesday! Running every Wednesday. If your name is called then "Come On Down!" and join them for this fantastic game. You get to state your price and be in with a chance of winning our showcase round where you can walk away with one of the top prizes on offer. Come have some fun in the Lucky Stars room this July as they are giving out some amazing prizes. Each Full House win earns you one draw entry. So, whether you like waking up early or staying up late, they have just the right potion of bingo for you. Remember, these draws are separate so you can either play between 7am-9am or between 10pm-12am. Play Morning Madness online bingo and win with the lucky 5! Join in from July 6th to July 12th and get the big cash spinning! Join the Afterhours Lounge from 5 AM till 7 AM EST and enjoy 2 hours with online bingo special speed games that have $100 guaranteed prizes and a special $1,000 prize on every 5th call. Don’t miss your 12 FREE cards for every 12 that you buy. They say that it must be Happy Hour somewhere and at CyberBingo, BingoSKY and BingoFest it is Happy Hour every night of the week between 9pm and 10pm EDT in Summer Bingo room. Filled with low cost cards and fantastic cash prizes up for grabs, there’s no happier way to spend evenings. Happy Hour would not be the same without a fabulous offer and CyberBingo, BingoSKY and BingoFest have an unmissable Buy one get one free offer on all cards in the Happy Hour bingo games. With back to back Happy Hour Bingo fun and excitement guaranteed daily in the Summer Bingo room, the Happiest Bingo fun at from 9pm till 10pm EDT every day. All your favorite bingo sessions: $5,000 CA in 48 calls, Speedy Jumpers, Double Trouble, 3 part games, Cuckoo for Coveralls, Astrology pattern and much more, are now waiting for you every day 5 times a day! Join them every day in the Main Room at: 9pm, 12pm, 5pm, 8pm and 11pm (especially designed for West Coasters) and get your share of cash prizes! Have your very own bingo adventure every day at Newlook Bingo Daily Raffle Adventure! Put down the qualifying deposit of the day to enter the daily raffle and feel the adrenaline rush as you wait to win the special cash rewards on each day this entire month. Prizes include Casino Cash and Bonuses! Hey, for all you UK players i noticed that Castle bingo have a £10 no deposit bingo bonus for new members. They've only got two bingo rooms which is sad but the slots are good. The new Taboo Room takes you on an online bingo adventure where you get to speak your mind with no boundaries! Enjoy this eccentric room daily between 11 PM and 2 AM EST and win huge cash prizes. Pick a golden number for the weekend, then, if you win a full house on that number you will get a share of a sky high £250 in Bonus Funds! Join them every Friday at 8pm for an out of this world £150 Guaranteed Jackpot game. It’s simple, every Friday, Rocket Bingo will fuel you with up to £50 worth of takeaway, delivered to your doorstep. Start your weekend right in the Bingo Café every Friday at 10:30pm. Put your feet up and have a lazy day on Sunday 19th July with an hour of FREE bingo! These fast paced chat games offer 3 wins. First place wins 40 kr to play for. Second and third place takes home 10 SEK each to play. The contest runs in the Club60 between the hours. 5:00 p.m. to 6:00 p.m.
Random chat game prizes! Between the hours. 19: 00-21: 00 they play random chat game winnings in Club60. 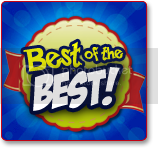 Winners can win anything from 10 SEK each up to $100 each. Every single week there is over £160,000 up for grabs in the 75 and 90-ball rooms. With games every 5 and 10 minutes throughout every day from 8am until 1am. With jackpots of up to £250 and card prices as low as just 5p. See site for game schedule and details. Look out for Red Ball action on Tuesday July 21st as they play the Red Ball chat game Special. All you have to do is bingo on any red ball (16-30) in any of the bingo rooms between 8am and midnight EDT and you could be rewarded with fantastic free BB’s. Player Appreciation Day is back in 2015! Every Wednesday this month is Player Appreciation Day! Make sure to join in the ‘Blue Room’ for the weekly $250 FreeRolls! Attention West Coasters, they've added the 11PM hour for you. Get a £40 Reality Cheque with BigBrotherBingo! Play every hour in the 24/7 Surveillance room from 3:30pm – 11:30pm! Cards only 5p! Join Fancy the Hatter in celebrating Alice in Wonderland’s 150th Anniversary! It’s going to be a fun-filled July, with new events each week and more than £1K cash in prizes! Win a London shopping trip & tea at Harrods’ in the Mad Hatters Tea Party, spin for cash prizes in the Alice Race, show off your pearly whites in Cheshire Cat’s Cash Game, and beat the Queen of Hearts for Free Spins! Get ready to spin and win playing videos slots this summer in the Summer Spin Tourney from August 3rd till August 30th. The more you win, the higher you will climb up the tourney leaderboard to be the Summer Spin Tourney winner of $1,000 cash. They're giving you the chance to grab up to 200 Cash Spins on their EXCLUSIVE Super Flip slot! Simply get spinning on your PC, mobile or tablet between 00.01am Monday 3 - 11.59pm Thursday 6 August. The more you play, the more Cash Spins you'll get - up to a maximum of 50 per day! Play for €150, get 15 Cash SpinsPlay for €300, get 30 Cash SpinsPlay for €500, get 50 Cash Spins All winnings from Cash Spins is real money which you can withdraw immediately. Take part in Sunny’s Summer Savers to bank even more rewards for your everyday play! Get a guaranteed cash and free spins every Monday with the Saver stamps you collected the previous week, and grab 5 or more stamps each week throughout August for your shot to win £1K cash! Take part in the Women's' Equality Fair N Square! The fun starts at 7:00PM EDT till 11:00PM EDT in the Summer Bingo Room, 4 hours filled with guaranteed cash prizes of $100 every game playing the fairest bingo games anywhere. Card cost is only $0.45 per card. Players are allowed to purchase 6 cards of their choice, no more and no less so everyone will have the same chance of winning cash prizes. Players can also pre-ordee their cards even if they cannot make it at that time, meaning they will be still in chance of winning these great prizes. Cards can be pre-ordered by logging into their account, from their pc, laptop, tablet and/or more as they are only a click away from bingo fun. Get your paws on Merlin’s Moolah this week… everyone’s a winner!! When: Opt in from Mon-Thurs. Prizes: Your guaranteed share of £1,000 will be credited to your account on Friday! Take part in The Big £10,000! The event takes place on the 10th of every month at 20:00 and this month the games plays on Thursday!